PicoSure laser tattoo removal is the safest most-effective method to successfully remove a tattoo. The goal is to make the area look as though it had never even been inked and believe me it’s possible – I do it all the time. One secret to beautiful results is keeping the skin as light as possible in between treatments. Why? Because the melanin in your tan impedes the laser beam – which is what nature intended. Our tans protect us from UV radiation (sunlight) in order to prevent skin cancer. When being treated with a laser, some of the energy is blocked by the melanin which decreases the effectiveness of the treatment and also can lead to hypopigmentation (a lightening of the skin). Although most hypopigmentation is temporary, the slight risk still exists that it may become permanent. Because of this risk, I’ve had to turn away several patients this summer because their skin was just too dark to treat. 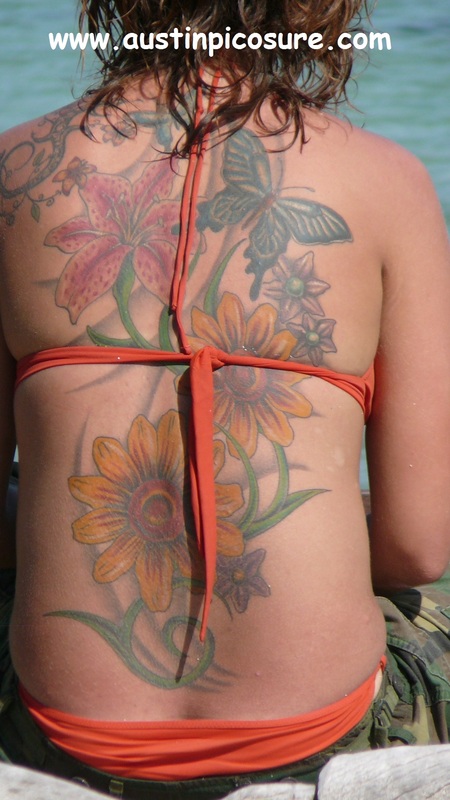 When that happens I advise them to wear sunblock daily over their tattoo and try to avoid the sun for 6-8 weeks. Then they’ll be ready to treat again. If you have a tattoo you would like COMPLETELY and safely removed with the revolutionary PicoSure Laser I can be reached in Austin, TX @ 512.479.9997 or if you just want to discuss your tattoo and treatment options you can call my cell @ 512.808.6712.